The Kerbl Empire Cat Tree is a beautiful, contemporary designed cat tree that oozes sophistication! With its fabulously upholstered resting areas and high-quality sisal scratching poles, this cat tree will take pride of place in any home! Made by the world-renowned pets supply manufacturers Kerbl, you can be sure that you are getting a top quality, durable product for your money. 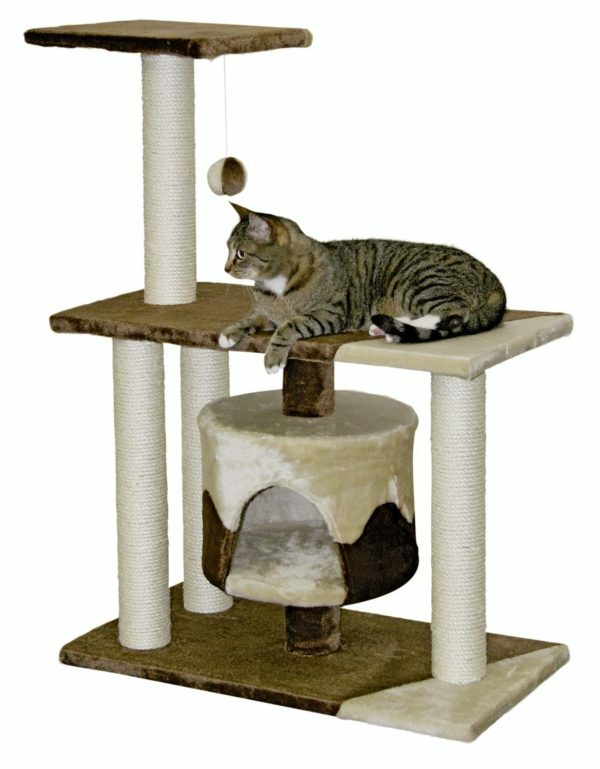 The Kerbl Empire Cat Tree has several areas where your feline friend can relax or play. Whatever mood they are in, this cat tree has all the bases covered! The sturdy base provides a solid foundation to give you peace of mind even for the most excitable of feline friends. There are several polls covered in high-quality sisal for them to sharpen their claws or practice their climbing! The Kerbl Empire Cat Tree is a 168 cm tall, which gives your cat a nice height from which they can survey their surroundings, and keep an eye and everything that is going on around them. This product is suitable for homes that have multiple cats and can happily accommodate them all at once. If your feline friend is an indoor cat then this will provide them with plenty of mental and physical stimulation for happy life! If you require any more information about this product, then please feel free to use the live chat facility in the bottom right-hand corner of this page and speak to one of our team today who will be happy to answer any queries you may have!